The new LASER polishing products have been developed for the professional car refinishing market and represent a new standard in polishing technique. Thanks to the unique Self-Sharpening Particle Technology, our polishing products will never lose their cutting edge. 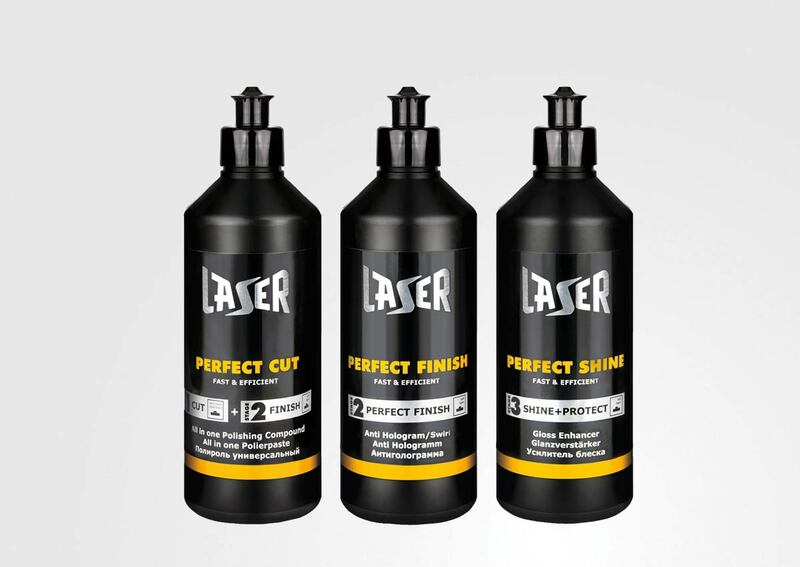 The LASER product line contains an easy to use product for all polishing jobs, an excellent swirl remover and even a dedicated protection product. We’ve succeeded in combining ease of use with efficient, time saving qualities, without losing any of our high quality demands. LASER, the new Standard for polishing technique!